Kids Cottage is as our name suggests: A cottage! 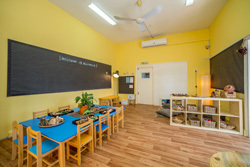 The classrooms emulate a home with elements that children can identify with from their own homes such as cushions, plants, framed pictures, curtains, and comfy corners. These elements as the children with feeling at ease in the environments. Natural tones and resources help create a connection to nature. We have 6 well-equipped classrooms that offer plenty of natural light, wooden flooring and ample space to accommodate up to 16 children per class. Our environments are thoughtfully created in response to the children’s needs and interests. 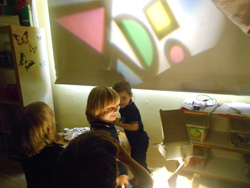 The environments also evolve to peak the children’s curiosity and to keep them engaged at all times. 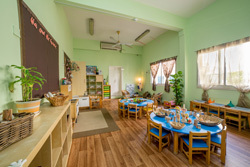 All of our classrooms here at Kids Cottage Nursery are beautiful, bright and spacious learning spaces. Careful consideration has been given to classroom furniture, which is child friendly and comfortable for our young preschoolers. Our class sizes are small with a low adult-child ratio, which maximises individual attention. All of our practitioners are fluent English speakers, making it as one of the best English language nurseries in Dubai. Kids Cottage Nursery boasts a multi-purpose hall, which facilitates physical development and movement in our young preschoolers. These skills are closely linked with other aspects of learning and are influenced by your child’s growing confidence and enjoyment of physical play. In the hall, children have a choice of an assortment of equipment such as balls, beanbags, hula-hoops, soft climbing shapes, activity mats, parachutes and balance beams. The practitioners set out physical developmental challenges for individual play and small groups. The hall is also used for music and movement, drama, and extra curricular activities such as Ballet and Kiddy Gym. 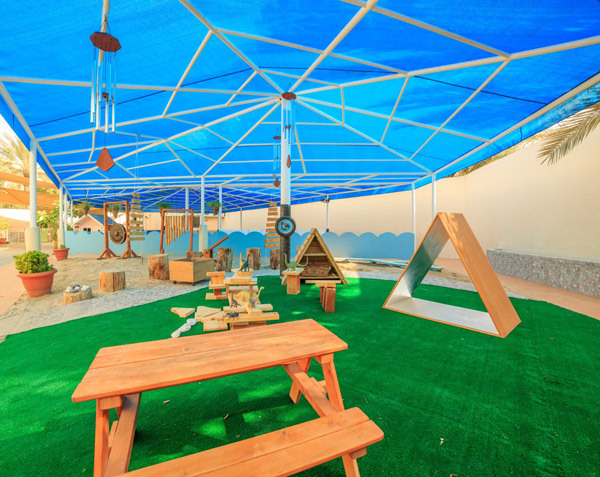 We offer a nursery with spacious outdoor play areas. These outdoor areas have been carefully thought out to enable children to explore a range of zones within the grounds of Kids Cottage Nursery. The areas are sufficiently shaded and sectioned to allow different age groups the ability to play at once. We have incorporated sensorial areas throughout as well as a trike and bike path and a large sand play area. We have a planting area where children take turns to plant and nurture their own produce. They then take home what they have grown. This promotes a sense of knowledge and understanding of the world, and an understanding of the environment.. Looking for a top nursery near Jumeirah? Kids Cottage Nursery in Umm Suqeim is part of the Kids First Group, a highly reputed provider of childcare and daycare for preschool children at nursery level in UAE. 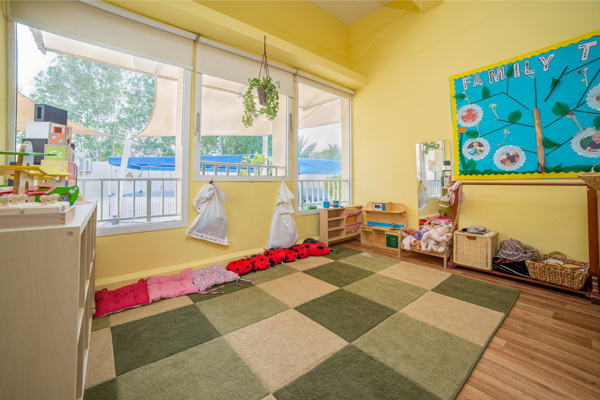 If you are looking for an English language nursery in Dubai that is renowned for having excellent facilities, a British curriculum following the EYFS Framework and an innovative approach to learning, contact Kids Cottage Nursery in Dubai to find out what makes us one of the best nurseries in Dubai.